It should read, “Gerindra menang, Prabowo president, Indonesia rugi”. One reason that Prabowo has had to cozy up with strange bedfellows is that he alone or his party are not sufficiently popular. Due to the meager electoral returns in 2009 his party alone is not able to nominate him for president. I believe he is more known than electorally popular due to his wealth. 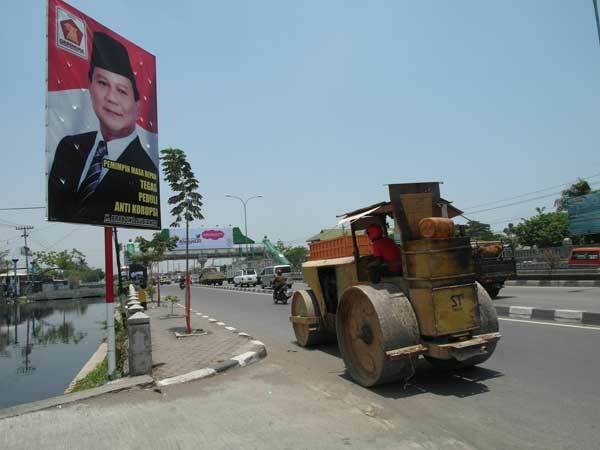 In Indonesia, having killed, tortured and repressed in Aceh and in Timor-Leste is, for many, far too many Indonesians, actually a positive thing, a credit to Prabowo. You forget that in the official nationalist rhetoric the Acehnese and the Timorese are nothing more than unruly ingrates.